Consent Form: Parents and guardians should complete a Consent Form annually. 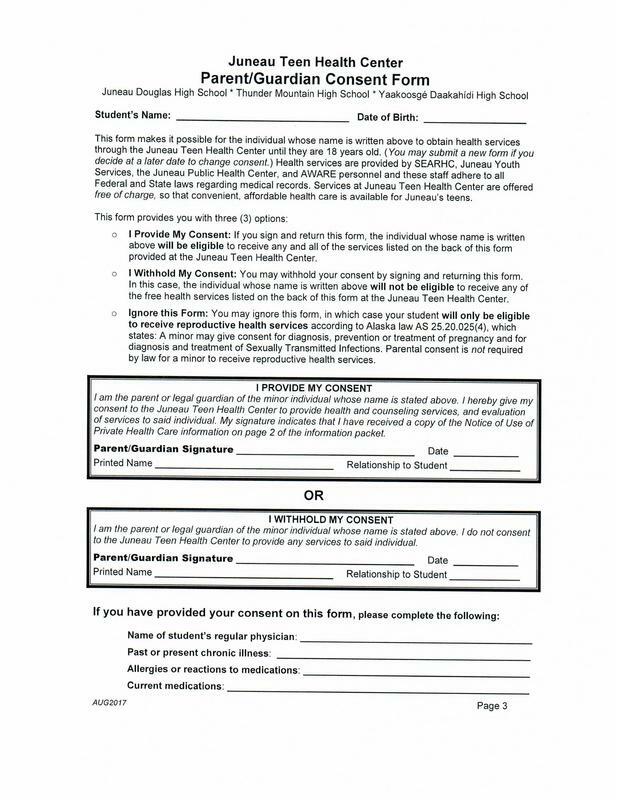 This form provides the option for student use or non-use of services at the Juneau Teen Health Center. HIPAA Notice: Federal law requires that all health information be kept confidential. Privacy practice information is detailed in the attached Notice of Use of Private Health Care Information. Click HERE to download the HIPAA Notice.